Should You Lease Your Land for Solar? 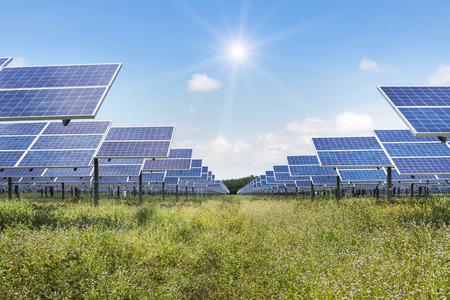 Leasing your land for the placement of a solar photovoltaic development project allows you to gain a long-term revenue from your property, enhance the value of your property for re-sale and keep your property intact without having to subdivide. Whether you are a farmer trying to add revenue to your farm all the while continuing to farm the land using Agricultural Solar, a farm family where multiple non-farming siblings are looking to receive revenue from a family asset or a landowner looking to pay for college or add to revenue by utilizing a solar land-lease, leasing land for solar development meets a number of revenue planning challenges. First, let’s go over what your land will need in order to be leased for solar. The ideal size for a 5 megawatt system size is at least thirty acres developing a standard solar field and forty to fifty acres for an Agricultural Solar system. The smallest land area that is economically feasible for an investor owned system is ten to eighteen acres which would yield a 2 to 3 megawatt system. Having access to utility grid infrastructure is important and does not need to be near a transmission corridor but needs to have reasonable access to a 3-phase electrical service. Of course, good exposure to sun is key, but also, be ready for a long-term commitment: solar farms offer a long process, but with high rewards. At Pope Energy, we lease your land for 25 years with the opportunity for two 5-year renewals. Not only can you create a substantial source of additional income for your property, but also, you’re creating a brighter, greener future for the surrounding community. If you have extra land available, why not put it to work generating renewable energy? Why not give it a purpose again? That is community impact on a much greater level. Our solar management team at Pope Energy will help you discover the value that solar energy can bring to your land. If you’re interested in learning more about solar leasing, and whether your land qualifies, please call us at 855-767-3363 today! This entry was posted in Solar Land-Lease and tagged Agricultural Solar System, Leasing Land for Solar, Solar Land-Lease Benefits, Solar Land-Lease Qualifications on November 14, 2018 by Pope Energy.